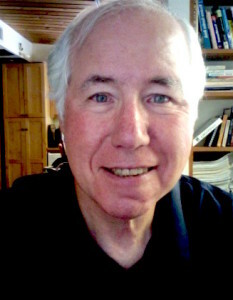 RE@L welcomes guest blogger Bob Pearlman. Bob is a member of our RE@L National Advisory Committee. He has an extensive background in K12 educational reform for over 30 years, more recently working with Project-Based Learning (PBL) and the expansion of STEM learning in our schools. There has been a significant development of new STEM-focused schools in the US starting in the 2000′s. Texas led the way with its Texas STEM Academies starting 2007, a state initiative by then Governor Rick Perry, and is now home to 77 T-STEM Academies serving more than 40,000 students across the state. 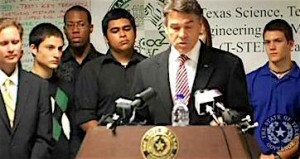 Since that time several states launched comprehensive STEM education plans and initiatives. Among the most notable are North Carolina and Ohio. 19 State STEM Networks and several national organizations have arisen to support this growth in STEM schools and STEM learning. (see STEM Learning Networks and Resources). In the past STEM-focused schools tended to be selective, based on high academic performance, like the well-known Thomas Jefferson High School for Science and Technology in Fairfax, VA, or the Bronx High School of Science. But the new wave of STEM-focused schools has been inclusive: “Rather than focusing solely on students who are gifted and talented, these schools recruit a broad swath of students who choose to attend a STEM high school. They are attracting students from populations that are underrepresented in STEM professions: women, Hispanics and African-Americans, and include enrollees from low-income families as well as pupils who are the first in their families to attend college.” Click here to read: “Science for All – A new breed of schools is closing achievement gaps among students and may hold the key to a revitalized 21st-century workforce,” By Sharon J. Lynch, Scientific American, July 14, 2015). 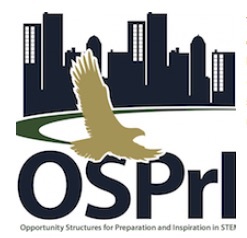 Professor Lynch and her colleagues at George Washington University’s from Opportunity Structures for Preparation and Inspiration in STEM (OSPrI) are also the authors of the recent Case Studies of 8 Inclusive STEM-focused High Schools (ISHS). I have personally been involved in this development, representing the then New Technology Foundation (now the New Tech Network) working with communities to launch two of the nation’s best ISHSs: Tech Valley High School in the Albany Capitol Region, NY, and Manor New Technology High School, Manor, TX (10 miles northeast of Austin, TX). Manor New Tech was visited and extolled by President Barack Obama on May 9, 2013. I have followed this national STEM school development and have profiled many of the best Inclusive STEM high schools and middle schools on my website. Making quality inclusive STEM schools is not an easy task. The challenge is in making such schools and preparing teachers to design and implement a curriculum that engages students in STEM learning. Further, Gates writes: “Teachers at Betsy Layne told me that their school’s focus on student-centered, hands-on learning has made their jobs easier. Instead of lecturing for hours every day, they now organize activities that leave them and their students more energized. It’s a win-win, they said.” Gates is right that “student-centered, hands-on learning ” or project-based learning (PBL) is the best way to “leave them (teachers) and their students more energized.” Click on the GatesNotes graphic above for their homepage. So what do we know about teachers gaining the skills to design effective STEM projects and facilitate or activate students? It is not easy. PBL and Integrated Curriculum is hard to do well. But there are several options that work for schools. Option 1: Train and support all teachers to design quality projects. Experience shows it is hard to get there. A summer training will not do the job. In our New Tech model replication efforts starting in 2002 (there are now more than 180 New Tech schools), we learned that after training teachers needed a significant level of multi-year ongoing support. After the initial summer training this included coaching, ongoing 24/7 coaching support, PLCs or Critical Friends sharing groups, and annual refreshers through either regional or national professional gatherings and communities. It often takes 2 years for teachers to become master PBL teachers. This option also can lead to the making of a quality Inclusive STEM school. Fee-based professional development and school development services are available for PBL through the New Tech Network, Big Picture Learning, Edvisions Schools, EL Schools, HTH Graduate School of Education, Envision Schools, Advanced Reasoning in Education, Engage2Learn, Buck Institute for Education, and other providers. The best PBL organizations and networks — BIE, Envision, High Tech High, UK’s Innovation Unit — have published excellent online Project Libraries for public access, and New Tech Network has an internal project library for all its schools. This is a good option for schools where teachers already have the skills to adopt, adapt, customize, and facilitate projects designed by other teachers. Project Lead the Way (PLTW) develops STEM curricula for use by elementary, middle, and high schools. Across the U.S., there are over 9,000 PLTW programs in more than 8,000 schools. PLTW trained over 7,000 teachers in 2015 and has trained more than 20,000 teachers since 1997. Project Lead The Way is the nation’s leading provider of science, technology, engineering, and math (STEM) programs. Through world-class K-12 curriculum, high-quality teacher professional development, and outstanding partnerships, PLTW is helping students develop the skills needed to succeed in the global economy. PLTW requires schools and STEM programs to register and pay a participation fee. Other costs include: Teacher Core Training costs and related expenses; and Equipment and supplies, including annual consumables. Making these changes may be well worth the cost. Over the next several years there are likely to be companies and organizations providing quality supplemental curricula for STEM investigations. In contrast to even good projects found on online project libraries, such supplemental curricula would provide teachers and students with hands-on tools supported by teaching and learning resources and software apps through an online platform to do investigate issues, engage in fieldwork, and share their findings with others. This option could provide a good entry point for many schools and teachers. One such company starting to develop STEM supplemental curricula is Real Experiences at Life, Inc. (RE@L)*. RE@L “seeks to create the highest-quality, most educationally-sound supplemental digital learning apps and tools—tools that help K-12 students soar in their academic pursuits.” RE@L was founded by former executives of the Minnesota Education Computing Corporation (MECC), the pioneering educational technology company that created Oregon Trail. They remain committed to the same hands-on, tech-based, real-world learning access and support for both teachers and learners. As an example, RE@L STEM Investigations provide an integrated supplemental PBL curriculum. These investigations model the problem-solving process, provide experience in tool use and data analysis, and encourage reporting to local officials. A good exemplar of this is RE@L’s Water Quality Investigation. More can be learned about RE@L’s initiatives by visiting the RE@L homepage. Here in 2016 we see new inclusive STEM Schools emerging every year and interdisciplinary STEM learning penetrating K-12 schools across the US and many other countries. These four options to support teachers are a sign of more quality STEM and Project-Based Learning to come. * RE@L is the publisher of this blog and the author is a member of the RE@L’s National Advisory Committee.